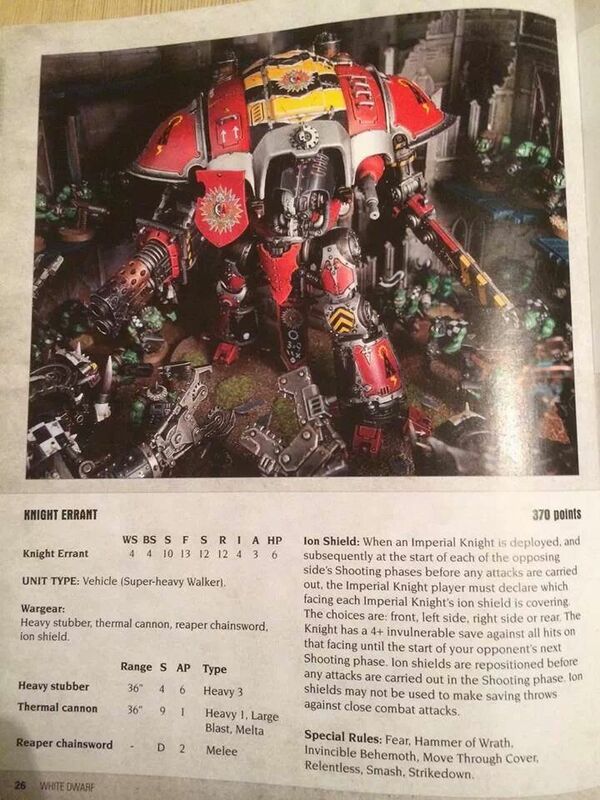 The rumours surrounding the Imperial Knights have been kicking around for ages. Since the rumours of the new Codex Space Marines start floating around in fact. 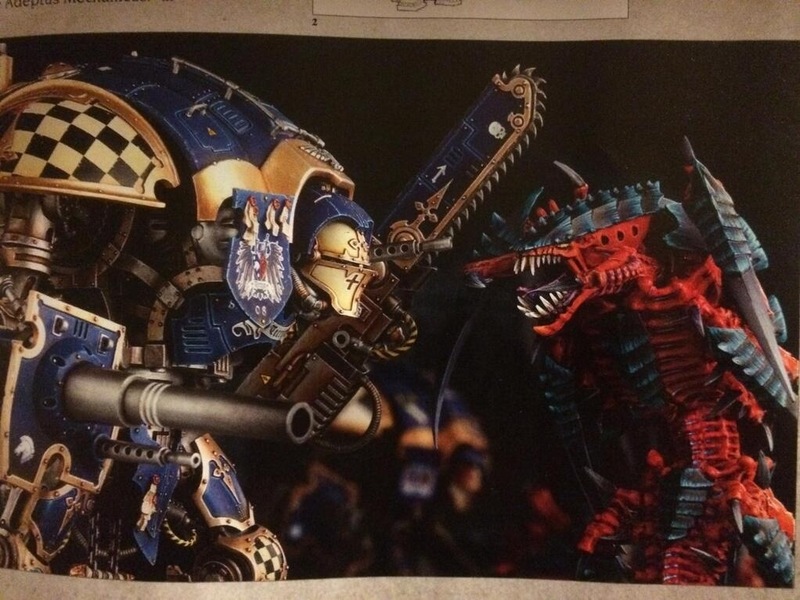 Even to the extent that the rumours were pointing towards the Knight being in the Codex. As you know, we don’t get involved with rumours on The Shell Case so we’ve been waiting for some form of confirmation that the Knights are coming out. And now we have it. I gotta say: they look pretty cool but also kinda like Warjacks…just saying. 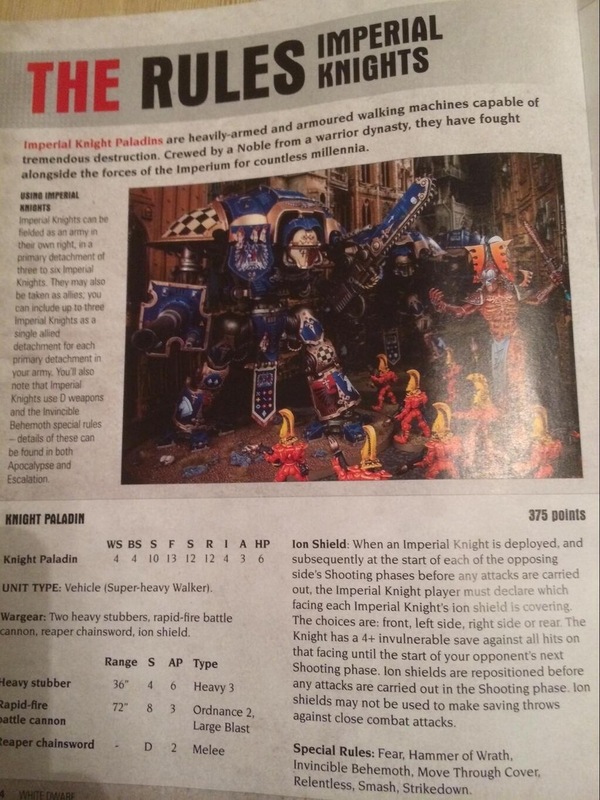 It is nice to see the Knights back in the 40k Universe. I had dozens of them back in my Epic/Titan Legion days. The recreation has been largely faithful which is kinda nice, but it’s good to see they’ve moved the design on. I’m just braced for the price. Because it’s going to be a lot. 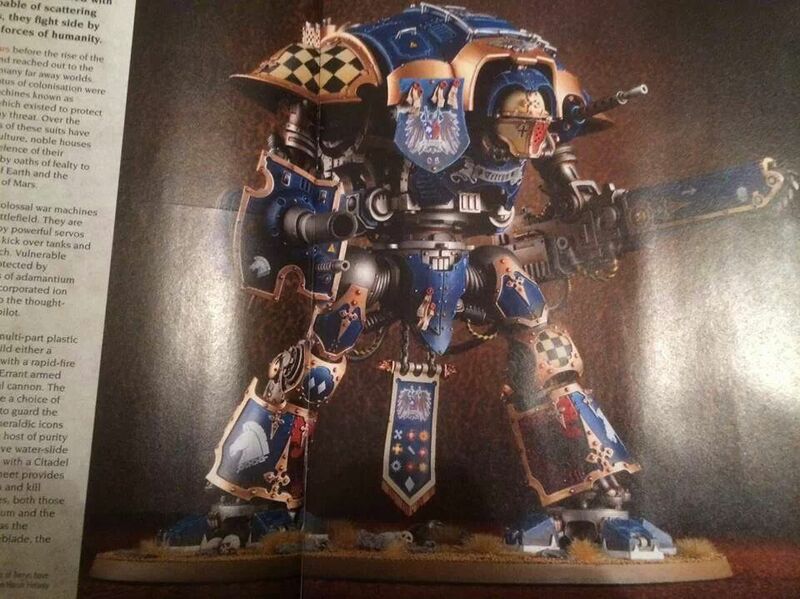 Knights are a old bit of fluff that GW is bringing back which I feel is a missing part of the background worthy of mention, all Centurions aside. Yeah, I know. I had em. Lots of em actually. I grew up playing Epic. Well the Errant is 370 points. The Paladin is slightly cheaper I believe. I’ll put in my guess at a three-figure price tag. I’d like to think it’d be under a tonne but, like you, I doubt it.